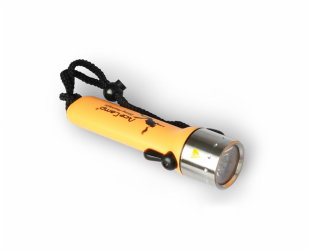 The AceCamp LED Diving Flashlight is waterproof to 100 meters, making it essential equipment on every marine expedition. 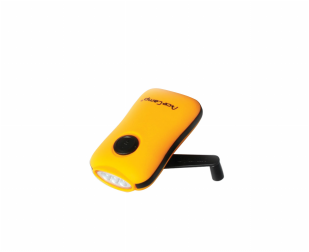 It's bright orange color makes it easy to see in all types of conditions and because you never know what could unexpectedly become under water, it's great to keep handy in the boat, RV or around the house. The included nylon lanyard makes it easy to hold on to in wet, slippery conditions. This hand crank flashlight is great for emergencies, camping, hiking, auto, power outages, etc. No batteries required. Switches between single and 3 LED operation. No battery or bulb ever required. Rotating the crank clockwise for bright light!